The holidays are a time to kick back, enjoy time with family and friends, and indulge in good food, good drinks, and all-around good cheer. But taking too wide of a detour from your fitness regimen could wreak havoc on more than just your gains — it can do a number on your motivation and confidence as well. With so many holiday activities right around the corner, it may be hard to stay dedicated to your gym schedule, making muscle-building a second tier priority. But not to fret — whether you're looking to cut fat, build muscle, or just need some motivation to keep you pushing through the new year, we've got you covered with holiday-centric workouts and tips. You'll stay lean, you'll continue making gains, and you'll do it all while enjoying every bit of merriment. The holidays are a time to kick back, enjoy time with family and friends, and indulge in good food, good drinks, and all-around good cheer. But taking too wide of a detour from your fitness regimen could wreak havoc on more than just your gains—it can do a number on your motivation and confidence as well. We're all for cheat days (in fact, they're essential), and we're all for loosening the restrictions when the holidays roll around, but there are ways to indulge responsibly. 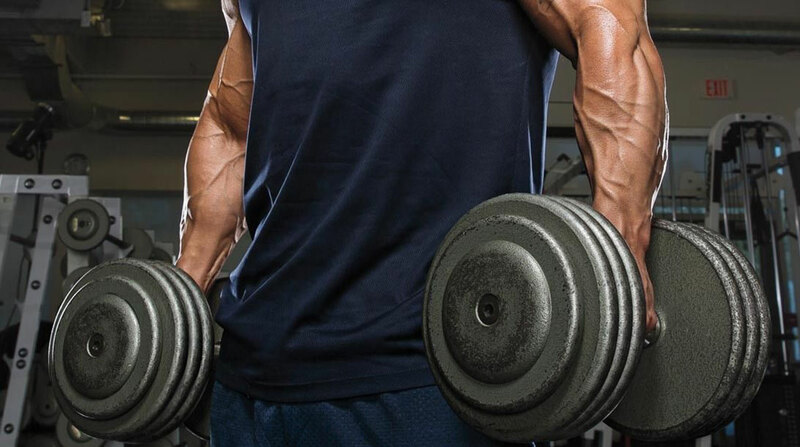 Before you get trapped in the mindset of "cave in now, pay later," and have to spend the New Year making up for a month and a half of Thanksgiving get-togethers and holiday beer binges, follow these tips to playing hard while keeping your gains intact.